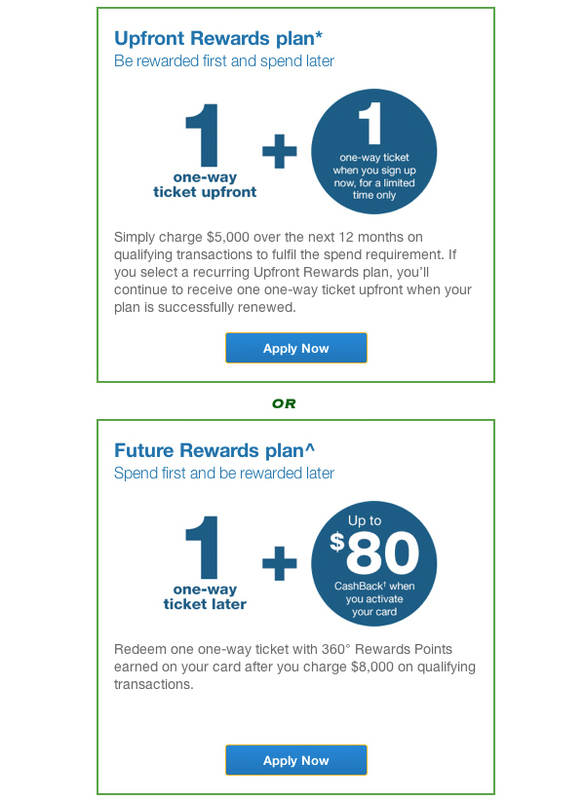 There are a number of credit cards in the market that offers attractive mile redemption packages e.g. get X number of miles for $1 spent but I have yet to hear of a credit card that gives you an air ticket to fly upon sign-up – that is until I heard of the Standard Chartered Tigerair Platinum Credit Card! It is definitely good when a credit card gives you faster ways to more holidays (without having to spend thousands of dollars upfront to accumulate tens of thousands of miles). This new Standard Chartered Tigerair Platinum Credit Card gives cardholders TWO one-way air tickets upfront* to a choice of 11 exciting Asian holiday destinations before you even start spending, if you select the Upfront Rewards plan. Anyway – just to clarify, at this blog post, you will see a lot of asterisk *, caret ^ and these strange symbols † – I will not bored you with all the legal terms and conditions here but it is important that you read all the Standard Chartered Tigerair Platinum Credit Card terms and conditions before applying e.g. “If you do not fulfil the UR spend requirement or terminate the plan before fulfilling the UR spend requirement, a $100 fee will be charged to your Card whether you have obtained or used the e-voucher” & “A fee of S$15 will be charged to your Card account for each e-voucher issued“. There are 2 Rewards plan you can choose from when you apply for a Standard Chartered Tigerair Platinum Card – Upfront Rewards (UR) Plan or Future Rewards (FR) Plan. 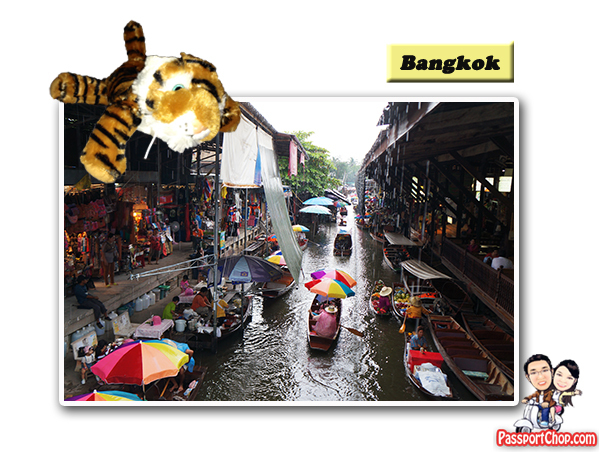 The reward for both the UR and FR plan is a one-way flight, inclusive of all taxes and charges (including fuel surcharges), operated by Tigerair departing Singapore for one (1) person to any one (1) of the following 11 destinations – Bangkok, Hat Yai, Ho Chi Minh, Jakarta, Krabi, Kuala Lumpur, Medan, Pekanbaru, Penang Phuket or Surabaya. I strongly suggest you read the Standard Chartered Tigerair Platinum Card Frequently Asked Questions to clarify your understanding of this UR and FR Plans. You will typically have to spend 3x more using other bank’s credit card to receive a 1x one-way flight. Thus, this is where I thought the Standard Chartered Tigerair Platinum Card UR Plan – Be Rewarded First, Spend Later concept is awesome! 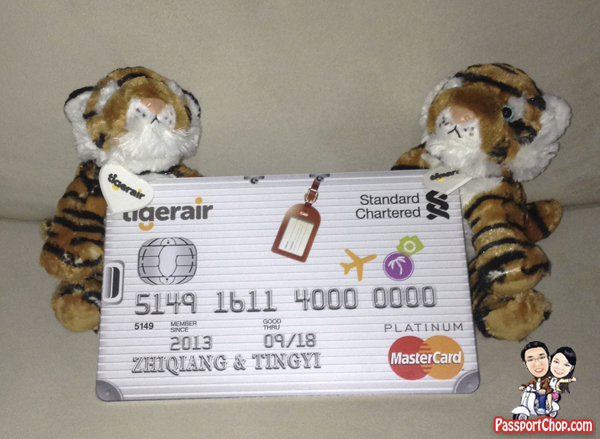 The minimum spend requirement for Standard Chartered Tigerair Platinum Card UR Plan at S$5000 means that you will need to spend on average S$417 per month (if you combine your household utility, grocery, phone, internet bills and charge it to the Standard Chartered Tigerair Platinum Card, you will likely meet the average monthly spend). Even if you can’t meet the S$5000 minimum spend, you can always just pay the S$100 for the one-way ticket – which is not a bad deal considering that all taxes and surcharges are factored in (which can add up to hundreds of dollars!) 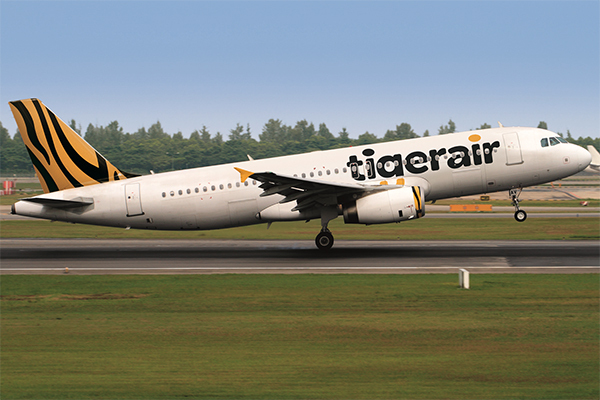 and you also get to enjoy the following complimentary suite of exclusive Tigerair perks when you travel – guaranteed!. Do note that you are only entitled to the Airline Benefits if you: (i) utilise your Rewards or (ii) purchase air tickets directly from Tigerair using your Card, by logging on to the Standard Chartered Tigerair Credit Card booking portal. If you utilise your Rewards, and purchase full fare air tickets for any other persons via the Portal and charge such amounts to your Card, such other persons travelling with you in that same single flight booking will also enjoy selected Airline Benefits, namely the seat selector – standard option only, boardmefirst priority boarding, Luggage Upsize™ from 20kg to 25kg only. – The feeling of being able to choose your seats and board before the rest does : Priceless! 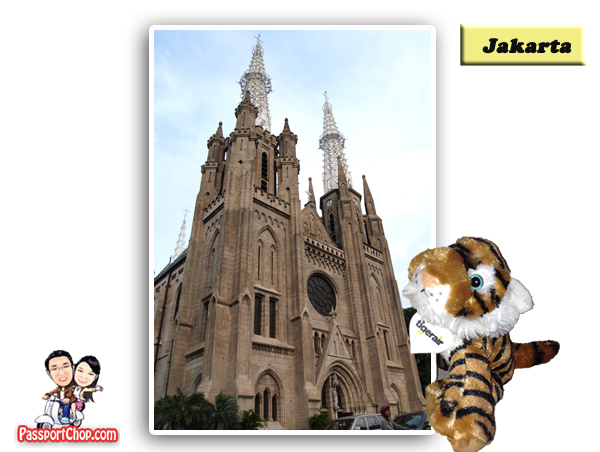 … and shopping, eating and sightseeing at Kuala Lumpur. 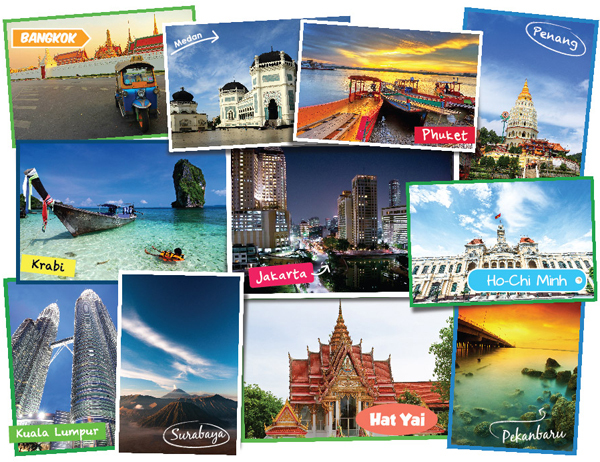 For a quick overview of the 11 destinations you can check out with your free one-way ticket when you sign up for your Standard Chartered Tigerair Platinum Credit Card, check out the picture below. 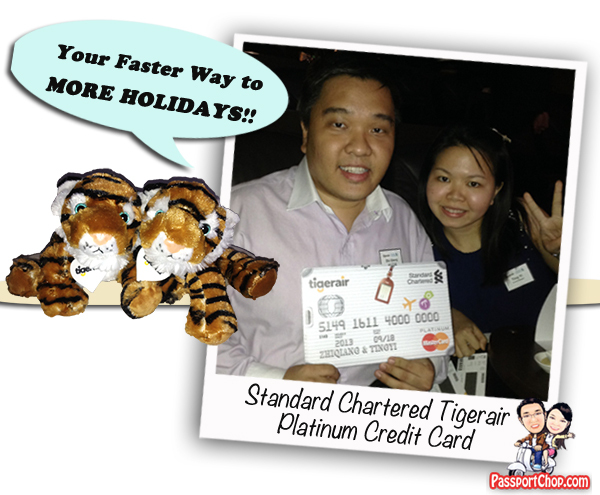 So what are you waiting for – sign up for your Standard Chartered Tigerair Platinum Credit Card today! This giveaway will run for One Week i.e. 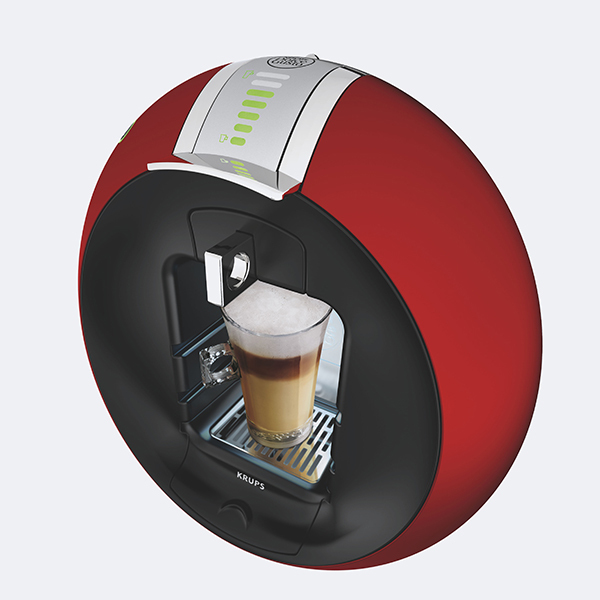 it ends on 16 Oct 2013 11:59pm Singapore time. There will only be One Winner. Do note that the winner will have to Self-Collect the prize in Singapore. The Winner will be the one who has stated the right benefit of the Standard Chartered Tigerair Platinum Credit Card and creatively explained why he/she likes it. PassportChop.com is the judge on the creativity of submissions and the judges’ decision is final.